Pro-Breastfeeding Social Media Groups: Hidden Communities of Practice? Background: In recent years, research around the intersection of motherhood, breastfeeding, and technology has grown significantly. These technological advancements elicit a need to better understand how communication and interaction between mothers within social media groups impacts breastfeeding-related outcomes. Objective: This study aimed to explore utilization of an existing pro-breastfeeding Facebook group, and how utilization influences breastfeeding-related knowledge, attitudes and behaviors. Methods: A mixed methods study was conducted exploring the experiences of participants within a Facebook pro-breastfeeding group. Participants recruited from within this social media group engaged in Online Focus Group Discussions (FGDs) (n=21) and additional individual interviews (n=12). Thematic analysis of qualitative data led to the conceptualization and contextualization of a breastfeeding community of practice (COP). A quantitative survey was then developed to assess the prevalence of these experiences amongst mothers within the group (n=314). Results: Qualitative findings showed an overall sense of community, elaborating on trust, interaction, and the promotion of breastfeeding. Quantitative results showed an extremely high exclusively breastfeeding rate at 6 months (69%), as well as a high percentage of mothers who initiated breastfeeding at some point (91.5%). Further findings show a large majority of mothers reported the group to exhibit specific aspects present within a COP. Conclusions: Results from this study suggest that this pro-breastfeeding Facebook formed an organic online COP. Interaction within the COP positively impacted breastfeeding outcomes. Further examination and exploration of breastfeeding COPs, including using this type of model as a method of lactation support or as a telemedicine framework, is a clear need. Results suggest pro-breastfeeding support groups that form a COP have the potential to positively influence breastfeeding-related outcomes. Ultimately, improved breastfeeding outcomes can lead to better quality of life for mother-infant dyads, including both physical and mental health outcomes. JMIR Pediatrics and Parenting (JPP) is a new sister journal of JMIR (the leading open-access journal in health informatics, Impact Factor 2017: 4.671). JPP has a unique focus on technologies, medical devices, apps, engineering, informatics applications for patient/parent education, training, counselling, behavioral interventions, preventative interventions and clinical care for pediatric and adolescent populations or child-parent dyads. JPP recognizes the role of patient- and parent-centered approach in the 21st century using information and communication technologies to optimize pediatric and adolescent health outcomes. As an open access journal, we are read by clinicians, patients and, parents/caregivers alike. We, as all JMIR journals, have a focus on applied science reporting the design and evaluation of health innovations and emerging technologies. We publish original research, viewpoints, and reviews (both literature reviews and medical device/technology/app reviews). JPP has no submission fee. Be a founding author of this new journal and submit your paper today! Background: Transfer from pediatric to adult care is a crucial period for adolescents with inflammatory bowel disease (IBD). Objective: Our aim was to develop a personalized transition-transfer concept including relevant tools in an established eHealth (electronic health) program. Methods: Required transition skills and validated patient-reported outcome measures (PROMs) were identified via bibliographic search and clinical experience and were implemented into an existing eHealth program. Results: The following skills were identified: disease knowledge, social life, disease management, and making well-informed, health-related decisions. The PROMs included the following: self-efficacy (the IBD Self-Efficacy Scale—Adolescents), resilience (the 10-item Connor-Davidson Resilience Scale), response to stress (the Child Self-Report Responses to Stress—IBD), and self-management and health care transition skills (the Self-Management and Transition to Adulthood with Treatment questionnaire). Starting at age 14, the patient will be offered a 1-hour annual transition consultation with an IBD-specialized nurse. The consultation will be based on the results of the PROMs and will focus on the patient's difficulties. Patients will complete the PROMs on the eHealth program at home, allowing nurses and patients to prepare for the meeting. Symptom scores and medication will be filled out on the eHealth program to support disease self-management. The consultation will be a topic-centered dialogue with practical exercises. During routine outpatient visits with the provider, parents will be left out of half of the consultation when the patient is 16 years old; at 17 years old, the parents will not be present. At the transfer consultation, the pediatric provider, the adult gastroenterologist, the pediatric nurse, the patient, and the parents will be present to ensure a proper transfer. Conclusions: We have conducted a personalized eHealth transition concept consisting of basic elements that measure, train, and monitor the patients' transition readiness. The concept can be implemented and adjusted to local conditions. Background: A magnetic resonance image (MRI) is a diagnostic test that requires patients to lie still for prolonged periods within a claustrophobic and noisy environment. This can be difficult for children to tolerate, and often general anesthetic (GA) is required at considerable cost and detriment to patient safety. Virtual reality (VR) is a newly emerging technology that can be implemented at low cost within a health care setting. It has been shown to reduce fear associated with a number of high-anxiety situations and medical procedures. Objective: The goal of the research was to develop a VR resource to prepare pediatric patients for MRI, helping to reduce anxieties in children undergoing the procedure. Methods: A freely accessible VR preparation resource was developed to prepare pediatric patients for their upcoming MRI. The resource consists of an app and supporting preparation book and used a series of panoramic 360 degree videos of the entire MRI journey, including footage from within the bore of the scanner. 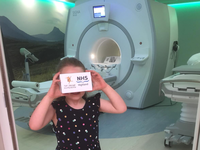 The app, deployed via the Android Play Store and iOS App Store, can be viewed on most mobile phones, allowing a child to experience an MRI in VR using an inexpensive Google Cardboard headset. The app contains 360 degree videos within an animated, interactive VR interface designed for 4 to 12-year-olds. The resource was evaluated as part of a clinical audit on 23 patients (aged 4 to 12 years), and feedback was obtained from 10 staff members. In 5 patients, the resource was evaluated as a tool to prepare patients for an awake MRI who otherwise were booked to have an MRI under GA. Results: The VR preparation resource has been successfully implemented at 3 UK institutions. Of the 23 patients surveyed, on a scale of 1 to 10, the VR resource was rated with a median score of 8.5 for enjoyment, 8 for helpfulness, and 10 for ease of use. All patients agreed that it made them feel more positive about their MRI, and all suggested they would recommend the resource to other children. When considering their experiences using the resource with pediatric patients, on a scale of 1 to 10, the staff members rated the VR resource a median score of 8.5 for enjoyment, 9 for helpfulness, and 9 for ease of use. All staff believed it could help prepare children for an awake MRI, thus avoiding GA. A successful awake MRI was achieved in 4 of the 5 children for whom routine care would have resulted in an MRI under GA. Conclusions: Our VR resource has the potential to relieve anxieties and better prepare patients for an awake MRI. The resource has potential to avoid GA through educating the child about the MRI process. Background: African American youth (aged 8-14 years) do not adhere to national dietary and physical activity guidelines. Nonadherence to these recommendations contributes to disproportionate rates of obesity compared with their white counterparts. Culturally tailored electronic health (eHealth) solutions are needed to communicate nutrition and physical activity messages that resonate with this target population. Objective: This study aimed to identify the impact of exposure to a website hosting culturally tailored cartoons to inspire fruit and vegetable uptake and physical activity levels in African American mother-child dyads. Methods: Statistical analysis included paired sample t tests to evaluate knowledge gains, self-efficacy, and readiness to change. Adapted items from Prochaska’s Stages of Change toward the following 4 behaviors were assessed with pre- and posttest surveys: (1) fruit and vegetable selection on my plate, (2) meal preparation, (3) fruit and vegetable selection outside of home, and (4) physical activity. Open-ended comments on videos from mother-child dyads were used to determine user acceptance. Observations of repeated responses during content analysis informed coding and development of key themes. Results: A final sample size of 93 mother-child dyads completed the study. Mothers reported significant improvement from precontemplation or contemplation stages to preparation or action stages for (1) fruit and vegetable selection on her plate (P=.03), (2) meal preparation for her family (P=.01), (3) fruit and vegetable selection outside the home (P<.001), and (4) physical activity (P<.001). Significant improvements were found in knowledge, stage of change, and self-efficacy for the 4 target behaviors of interest (P<.001). Children’s open-ended commentary reported vicarious learning and positive character identification with brown-skinned cartoons exhibiting healthful food and exercise behaviors. Mothers commented on the lack of accessible produce in their neighborhoods not depicted in the cartoon videos. Conclusions: Culturally adapted cartoons that incorporate tailored preferences by African American families, such as race or demography, may help increase adherence to target health behaviors when developing eHealth behavior solutions. Background: More than 1 in 10 women of reproductive age identify as having some type of disability. Most of these women are able to become pregnant and have similar desires for motherhood as women without disability. Women with disability, however, face greater stigma and stereotyping, additional risk factors, and may be less likely to receive adequate reproductive health care compared with their peers without disability. More and more individuals, including those with disability, are utilizing the internet to seek information and peer support. Blogs are one source of peer-to-peer social media engagement that may provide a forum for women with disability to both share and obtain peer-to-peer information and support. Nevertheless, it is not clear what content about reproductive health and pregnancy and/or motherhood is featured in personal blogs authored by women with spinal cord injury (SCI), traumatic brain injury (TBI), spina bifida, and autism. Objective: The objective of this study was twofold: (1) to examine the information being shared in blogs by women with 4 types of disabilities, namely, SCI, TBI, spina bifida, and autism, about reproductive health, disability, health care, pregnancy, and motherhood; and (2) to classify the content of reproductive health experiences addressed by bloggers to better understand what they viewed as important. Methods: Personal blogs were identified by searching Google with keywords related to disabilities, SCI, TBI, spina bifida, and autism, and a variety of keywords related to reproductive health. The first 10 pages of each database search in Google, based on the relevance of the search terms, were reviewed and all blogs in these pages were included. Blog inclusion criteria were as follows: (1) written by a woman or care partner (ie, parent or spouse) of a woman with a self-identified diagnosis of SCI, TBI, spina bifida, or autism; (2) focused on the personal experience of health and health care during the prepregnancy, prenatal, antepartum, intrapartum, and/or postpartum periods; (3) written in English; and (4) published between 2013 and 2017. A descriptive and thematic qualitative analysis of blogs and corresponding comments was facilitated with NVivo software and matrix analysis. Results: Our search strategy identified 125 blogs that met all the inclusion criteria; no blogs written by women with spina bifida were identified. We identified 4 reproductive health themes featured in the blog of women with disabilities: (1) (in)accessible motherhood, (2) (un)supportive others, (3) different, but not different, and (4) society questioning motherhood. Conclusions: This analysis of personal blogs about pregnancy and health care written by women with SCI, TBI, and autism provides a glimpse into their experiences. The challenges faced by these women and the adaptations they made to successfully navigate pregnancy and early motherhood provide insights that can be used to shape future research. Background: Nearly half of the unintentional injuries in children happen in and around the home; many of these injuries are preventable. Providing parents and caregivers with proper injury prevention information that is easily accessible may help them make their homes safer for children. Objective: The aim of this study was to evaluate parental injury prevention awareness and home safety behaviors, motivations for and challenges to taking injury prevention and safety actions for parents as well as user experience following the use of the Make Safe Happen mobile app. Methods: A total of 40 parents with children aged 0-12 years living in Columbus, Ohio, participated in 1 of 5 focus group discussions following the completion of (1) a pretest survey, (2) use of the Make Safe Happen app, and (3) a posttest survey. Results: Following the use of the Make Safe Happen app, parents reported a significant increase in injury prevention awareness and completed 45% more home safety behaviors in and around their homes. 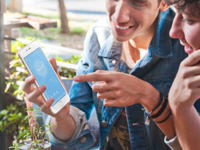 Nearly all of the parents felt the app provided them with the information needed to make their home safer for their children; the great majority of parents intended to make such changes in the future. Conclusions: The combination of qualitative and quantitative data collection allowed for rich data capture and provided a deeper understanding of parents’ safety knowledge, behaviors, app use, and decision making regarding child injury prevention in and around the home. The Make Safe Happen app provides the information and motivation parents and caregivers need to help them take steps to prevent child injuries that may occur in and around their homes. Background: Several studies support the impact of information communication technology–based interventions to promote physical activity among youth. However, little is known on how technology can be used by the entire family to encourage healthy behavior. Previous studies showed that children and youth rely and are dependent upon the decisions and values of their caregivers when it comes to having a healthy lifestyle. Thus, the exploration of behavior and attitudes of the entire family is needed. Objective: The study aimed to explore (1) perceptions of how the use of physical activity tracking devices (Fitbit Zip) by families in rural communities influence their patterns of participation in physical activity, (2) how attitudes toward physical activity change as a result of using physical activity tracking devices as a family, and (3) what factors influence participation in physical activity among families in rural communities. Methods: A total of 11 families with 1 to 3 children of different ages (7-13 years) took part in semistructured group interviews following 2 weeks of using physical activity tracking devices (Fitbit Zip) as a family. The participants were asked to discuss their experience using the Fitbit Zip as a family, the motivation to be physically active, the changes in their pattern of participation in those activities, the level of engagement by different family members, and the factors that affected their participation. All interviews were voice-recorded with the participants’ permission and later transcribed verbatim using pseudonyms. To analyze the data, the principal investigator (IS) used open, axial, and selective coding techniques. Results: A total of 3 themes and several subthemes appeared from the data. The families in rural communities reported no or minimal changes in physical activities as a result of using physical activity tracking devices (Fitbit Zip) because of a lack of interest or an already active lifestyle. However, the attitude toward physical activity was altered. The family members reported an increased awareness of their activity level, introduced more conversations about active and healthy lifestyles, and changed their view of physical activity to a more positive one. The participants described the changes they were able to make and the constraining factors that stopped them from making further changes in their lifestyle. Conclusions: Technology might serve as a facilitator to participation in physical activity among families. Technology can motivate the change in attitude toward active recreation. As long-term changes in lifestyle require internal motivation, the change in the attitude might have a more long-lasting impact than the change in the immediate behavior. More longitudinal studies are needed to further explore long-term change in both behavior and attitude toward physical activity. Additional exploration of constraints to participation in physical activity among families is also an important area of exploration. Background: Only 30% of parents of children aged 9-35 months report that their child received a developmental screening in the previous year. Screening rates are even lower in low-income households, where the rates of developmental delays are typically higher than those in high-income households. Seeking to evaluate ways to increase developmental screening, Text4baby, a national perinatal texting program, created an interactive text message-based version of a validated developmental screening tool for parents. Objective: This study aimed to assess whether a text message-based developmental screening tool is usable and acceptable by low-income mothers. Methods: Low-income mothers of infants aged 8-10 months were recruited from the Women, Infants and Children Program clinics in Prince George’s County, MD. Once enrolled, participants used text messages to receive and respond to six developmental screening questions from the Parents’ Evaluation of Developmental Status: Developmental Milestones. After confirming their responses, participants received the results and feedback. Project staff conducted a follow-up phone survey and invited a subset of survey respondents to attend focus groups. 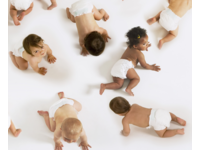 A representative of the County’s Infants and Toddlers Program met with or called participants whose results indicated that their infants “may be behind.” Results: Eighty-one low-income mothers enrolled in the study, 93% of whom reported that their infants received Medicaid (75/81). In addition, 49% of the mothers were Hispanic/Latina (40/81) and 42% were African American (34/81). A total of 80% participated in follow-up surveys (65/81), and 14 mothers attended focus groups. All participants initiated the screening and responded to all six screening questions. Of the total, 79% immediately confirmed their responses (64/81), and 21% made one or more changes (17/81). Based on the final responses, 63% of participants received a text that the baby was “doing well” in all six developmental domains (51/81); furthermore, 37% received texts listing domains where their baby was “doing well” and one or more domains where their baby “may be behind” (30/81). All participants received a text with resources for follow-up. In a follow-up survey reaching 65 participants, all respondents said that they would like to answer screening questions again when their baby was older. All but one participant would recommend the tool to a friend and rated the experience of answering questions and receiving feedback by text as “very good” or “good.” Conclusions: A mobile text version of a validated developmental screening tool was both usable and acceptable by low-income mothers, including those whose infants “may be behind.” Our results may inform further research on the use of the tool at older ages and options for a scalable, text-based developmental screening tool such as that in Text4baby. 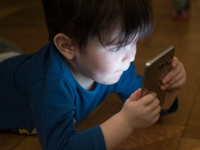 Background: The increasing prevalence of excessive screen time (ST) among children is a growing public health concern, with evidence linking it to an increased risk of overweight and obesity among children. Objective: This study aimed to explore the beliefs, attitudes, and practices of Brazilian immigrant mothers living in the United States related to their preschool-age children’s ST behaviors. Methods: A qualitative study comprising 7 focus group discussions (FGDs) was conducted with Brazilian immigrant mothers living in the United States. All FGDs were audio-recorded and professionally transcribed verbatim. The Portuguese transcripts were analyzed using thematic analysis. Results: In total, 37 women participated in the FGDs. Analyses revealed that although most mothers expressed concerns for their preschool-age children’s ST, nearly all viewed ST as an acceptable part of their children’s daily lives. Furthermore, mothers perceived that ST has more benefits than disadvantages. The mothers’ positive beliefs about (eg, educational purposes and entertainment) and perceived functional benefits of ST (eg, ability to keep children occupied so tasks can be completed and facilitation of communication with family outside the United States) contributed to their acceptance of ST for their preschool-age children. Nevertheless, most mothers spoke of needing to balance their preschool-age children’s ST with other activities. Mothers reported using several parenting practices including monitoring time and content, setting limits and having rules, and prompting their children to participate in other activities to manage their preschool-age children’s ST. Conclusions: This study provides new information on the beliefs, attitudes, and practices of Brazilian immigrant mothers living in the United States related to their preschool-age children’s ST. Study findings revealed several potentially modifiable maternal beliefs and parenting practices that may provide important targets for parenting- and family-based interventions aimed at limiting preschool-age children’s ST.
Background: Populations in low-resource settings with high childhood morbidity and mortality increasingly are being selected as beneficiaries for interventions using passive sensing data collection through digital technologies. However, these populations often have limited familiarity with the processes and implications of passive data collection. Therefore, methods are needed to identify cultural norms and family preferences influencing the uptake of new technologies. Objective: Before introducing a new device or a passive data collection approach, it is important to determine what will be culturally acceptable and feasible. The objective of this study was to develop a systematic approach to determine acceptability and perceived utility of potential passive data collection technologies to inform selection and piloting of a device. To achieve this, we developed the Qualitative Cultural Assessment of Passive Data collection Technology (QualCAPDT). This approach is built upon structured elicitation tasks used in cultural anthropology. Methods: We piloted QualCAPDT using focus group discussions (FGDs), video demonstrations of simulated technology use, attribute rating with anchoring vignettes, and card ranking procedures. The procedure was used to select passive sensing technologies to evaluate child development and caregiver mental health in KwaZulu-Natal, South Africa, and Kathmandu, Nepal. Videos were produced in South Africa and Nepal to demonstrate the technologies and their potential local application. Structured elicitation tasks were administered in FGDs after showing the videos. Using QualCAPDT, we evaluated the following 5 technologies: home-based video recording, mobile device capture of audio, a wearable time-lapse camera attached to the child, proximity detection through a wearable passive Bluetooth beacon attached to the child, and an indoor environmental sensor measuring air quality. Results: In South Africa, 38 community health workers, health organization leaders, and caregivers participated in interviews and FGDs with structured elicitation tasks. We refined the procedure after South Africa to make the process more accessible for low-literacy populations in Nepal. In addition, the refined procedure reduced misconceptions about the tools being evaluated. In Nepal, 69 community health workers and caregivers participated in a refined QualCAPDT. In both countries, the child’s wearable time-lapse camera achieved many of the target attributes. 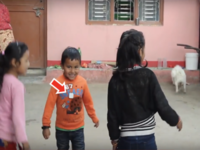 Participants in Nepal also highly ranked a home-based environmental sensor and a proximity beacon worn by the child. Conclusions: The QualCAPDT procedure can be used to identify community norms and preferences to facilitate the selection of potential passive data collection strategies and devices. QualCAPDT is an important first step before selecting devices and piloting passive data collection in a community. It is especially important for work with caregivers and young children for whom cultural beliefs and shared family environments strongly determine behavior and potential uptake of new technology. Background: The timing of gestation is critical information to make timely decisions and provide obstetric care. Objective: To analyse the association between the quality of gestational age (GA) information and obstetric interventions during birth. Secondarily, to assess obstetric outcomes and the agreement between obstetricians and paediatricians who independently estimate GA Methods: Hospital-based cohort study with 2,113 births. Groups of newborns with ultrasound-based GA estimated at <14 weeks (very-adequate GA) or at ≤20 weeks (adequate GA) were compared with the group without antenatal ultrasound or with ultrasound-based GA estimated at >20 weeks (inadequate GA). A univariate analysis was used to associate outcomes among the interest groups. Paired analyses compared GA recorded by the obstetrician or paediatrician. Results: Better quality of GA estimates at birth were associated with a higher rate of interventions for pregnancy interruption and improved obstetric outcomes. The chance of non-spontaneous delivery and oxytocin augmentation was higher in very-adequate-GA and adequate-GA groups, as compared to the inadequate-GA group: OR=1.64 (1.35 – 1.98 95%CI) and OR=1.58 (1.31 – 1.90 95%CI); OR=1.41 (1.09 – 1.82 95%CI) and 1.34 (1.04 – 1.72 95%CI), respectively. Caesarean rates (40.8% vs 37.1%, p=0.121, and 40.1% vs 37.1%, p=0.195) and forceps (3.6% vs 2.6%, p=0.236, and 3.2% vs 2.6%, p=0.474) were similar between such groups of comparisons. Moreover, maternal blood transfusion after birth was more frequent in the inadequate-GA group than in the other groups (3.1% vs 1.5%, p=0.020, and 3.1% vs 1.7%, p=0.048), and neonatal intensive-care-unit admission was more frequent in the inadequate-GA group than in the other groups, excluding major foetal malformations (18.1% vs 13.2%, p=0.008, and 18.1% vs 13.3%, p=0.010). Disagreement between paediatricians or obstetricians regarding the GA estimate impacted the rate of small-for-gestational-age newborns (14.5% vs 15.4%, respectively, p=0.037). Conclusions: The credibility of GA retrieved at birth can be an influential factor in timely obstetric interventions in labour management and NICU admissions.